The rawest episode of the season is just what the show needed to pull all the characters back together. After weeks of everyone ripping each other’s throats out, it was nice to see the fighting characters unite when tragedy strikes one of the doctors. Ellen Pompeo’s directorial debut was emotionally gripping and beautifully shot, leading to a staple Grey’sAnatomy episode. Maggie’s mother, Diane, is much sicker than anyone originally thought, which was a major shock to Maggie at the end of the previous episode. Maggie’s denial of the situation at hand is difficult to watch. She doesn’t know how to handle her mother’s worsening state other than to be an overprotective, over-controlling daughter. The main issue is that Maggie is trying to be Diane’s doctor rather than her support system. Since Maggie acts out by controlling Diane’s treatment, Diane doesn’t get the best treatment possible. None of the other doctors have the heart to tell Maggie or Diane the truth about Diane’s failing health. Maggie’s grief also leads her to be less than sisterly toward Meredith. After she doesn’t like the new diagnosis, Maggie forces Meredith off her mother’s case. 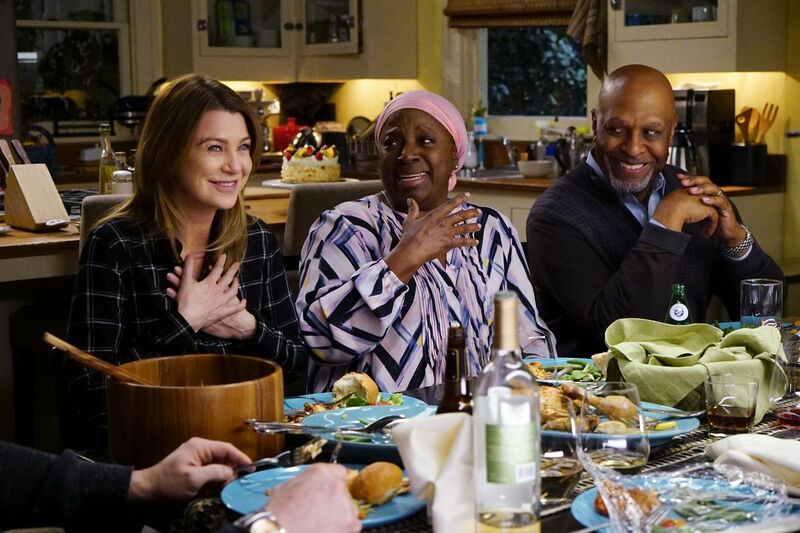 A little later in the episode, Maggie makes an incredibly insensitive remark to Meredith about caring more for her mother than giving up and throwing her down a drain, which is a reference to Meredith and Richard “spreading” Ellis Grey’s ashes down the drain of the scrub sink in OR 2. Maggie spent the episode being rude to her sister, mother, and biological father. She makes a similar quip to Richard about how she needs her father and completely shuts him out. Maggie’s shock and fear over Diane’s cancer is completely reasonable. However, there is no reason for her lashing out at anyone who doesn’t agree with her. This was Maggie’s episode to shine, and the character let her emotions get the best of her in the worst of ways. Maggie has a long climb ahead of her to get out of the hole she has put herself in. As emotional as watching Maggie and Diane’s downward spirals made the episode, there was one nice thing to come out of the dilemma. Richard and Bailey are forced to work on Diane’s case together, as they are Maggie’s next surgical choices. Although they spend most of the episode on the outs, by the conclusion, Richard has decided to put their differences aside and make up with Bailey. The events of the episode force Richard to have a new perspective on the situations that have previously been playing out. With Richard and Bailey back on good terms, maybe things around the hospital will start running smoothly again. Also by the end, Maggie leans on Meredith and Amelia for support. Maggie finally learns to accept help from her sisters, even though she feels she is tougher than that. Meredith understands exactly what Maggie is going through, so she goes into full shoulder-to-lean-on mode. Unfortunately, that means she has to put Nathan on the back burner for now. Nathan and Meredith do share two nice moments during the episode where he says he understands that Meredith needs to be there for Maggie, but his disappointment drips through every word. It will be interesting to see when these two finally get together and don’t put each other off. The episode also marked Ellen Pompeo’s directorial debut, and she did a fantastic job with a difficult script. I really enjoy the episodes that cast members Kevin McKidd and Chandra Wilson direct, so I was excited to see what Pompeo would bring to the table. Pompeo’s directing style was very different from the typical Grey’s Anatomy style. There were lots of sweeping, long shots with very few edits. Pompeo used lots of close-ups and two aerial shots that really added to the emotional gut-punch of the action. I liked that Pompeo made sure that each actor was in the right emotional state for every scene. Nothing seemed out of place or over-the-top, which was great. The use of the traditional Grey’s musical themes helped propel the episode and keep the audience informed as to what would happen based solely on familiar tunes. I’m not sure whose decision that was, but it was a perfect way to keep the episode engaging. There was no one better to direct a moving episode like this than someone who has devoted so much to the series and knows exactly how to get the point across. Hopefully Pompeo will direct more episodes in the future because her first try was great.